Recorded Live at Tower Records, Hollywood Sunset Strip, Los Angeles, USA - November 27, 1996. Excellent Soundboard Recording -> Bootleg Silver CD :: MP3 CBR 320 kbps. Personnel: Anderson, Howe, Squire, Wakeman, White. 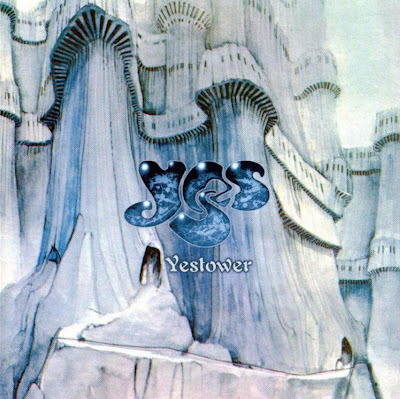 Notes: From Silver Disc Yes-Yestower YT1196. 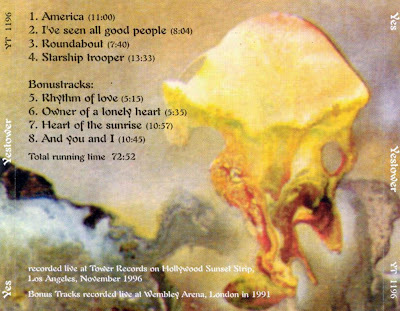 T01-t04 recorded live at Tower Records on Hollywood Sunset Strip, Los Angeles, November, 27th 1996; t05-t08 Bonus Tracks, recorded live at Wembley Arena, London, June, 29th, 1991. <-(from original info file) . FANTASTIC sound on this one. So good to hear. thank you.